It’s surprising that I have yet to post anything about Dabney Lee. Not only is she a good friend of mine, but her paper and home goods line is what keeps me inspired and interested in this business. 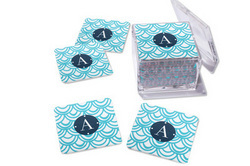 The combinations of her amazingly beautiful, yet fun patterns, paired with the monogram of your choice makes for an amazing gift that the recipient is sure to love. 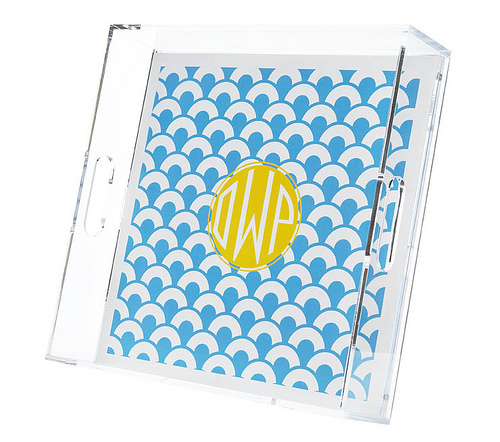 These square lucite trays measure 12 x 12 and are perfect for summer drinks outside, or for holding loose papers that lie around on your desk (exactly what I use it for!). 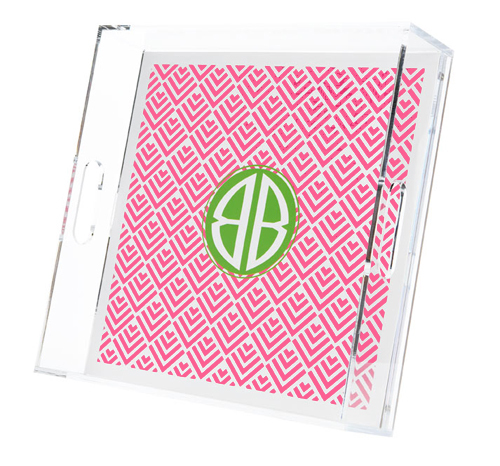 Dabney Lee uses a thick lucite tray, and what makes these so great is that the liner can be changed out. Another great gift item are the drink coasters. 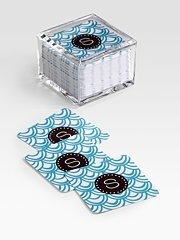 They are lightweight and easy enough to carry around with your drink, but sturdy enough that you know they are a good quality and they won’t ruin your table! I have kept a sample of most of the work that I’ve done with Dabney Lee, so if you have a color scheme that you want to stick to, I can send you examples in those colors. Or if you are interested in a certain pattern, I can send you all the ones I’ve done in that specific pattern. The possibilities are endless, and this is the best part of the present… picking out what you think your friend / host would want!